The holidays are a great opportunity to enjoy time with family and friends, celebrate life, to be grateful, and reflect on what’s important. They are also a time to appreciate the gift of health. The CDC gives tips to help ensure a safe and healthy holiday season for you and your family, including ideas for how to manage stress, ways to stay active and healthy, food safety information, and more. The AlaskaCare Employee Assistance Program (EAP), administered by Aetna, provides responsive, caring and effective services to help balance your personal and professional life. Check out resources available to help with stress management, alcohol and drug issues, emotional wellness, marital/relationship issues, financial and legal concerns, and more. Visit the AlaskaCare EAP site for more information. 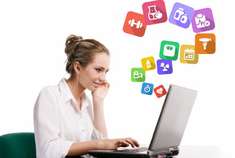 Have you tried health coaching? 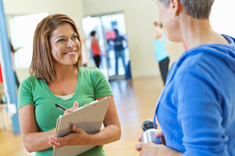 AlaskaCare health coaching offerings include lifestyle coaching, chronic condition coaching, and maternity coaching. Whether you’ve never called a coach or you’re already participating in the coaching program, if you call your health coach before December 19, you will be entered into a sweepstakes drawing for a chance to win a $50 gift card. MyActiveHealth is offering a free online group coaching program—The Weight is Over: How to Start Managing Your Weight and Living Well Today. This program is a six week series that begins on Tuesday, January 19 at 12pm. Please register ahead of time as space is limited. This presentation will discuss how you can make it through the holidays—in a healthy way! It can be easy to fall out of routine and engage in unhealthy lifestyle behaviors. Learn how to enjoy the season with your family and friends while maintaining your health. Attempting to stay healthy during the holidays can be a challenge when delicious and decadent treats seem to be everywhere. If you want to cut down on overindulging, there are plenty of ways to lighten up classic recipes. 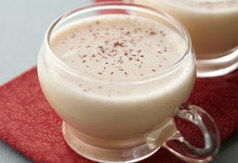 For example, here is a great low-fat recipe for eggnog.